Summer’s the time for us to celebrate America’s holidays; Memorial Day, the Fourth of July and Labor Day are all national holidays that call for the red, white and blue. With national holidays unofficially marking the beginning and end of summer fun, it could be argued that these are the official theme colors of summer! 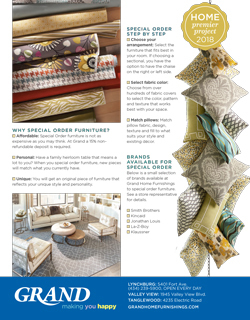 If you’re planning a get-together, just look around your house, and you’ll probably find items to use in a patriotic color scheme: a blue-striped or red-checkered tablecloth, a navy blue sheet, colored placemats or napkins to set under serving dishes…you may already have more items than you think, that when combined, make a patriotic display. On your buffet table, you can make things more interesting by using various heights with (napkin-covered) cake stands or cookie tins. Spend on something that provides some pop like a red, white and blue bunting or colorful paper lanterns. 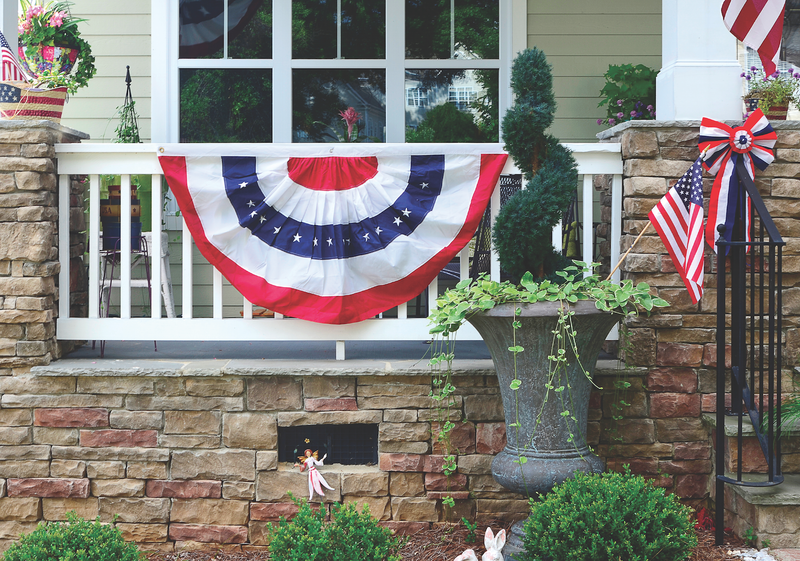 Show your spirit by flying “Old Glory” off your deck, at the front door, or from a flag holder mounted on a tree; line your front path with miniature versions of our flag easily accessible this time of year at the dollar store or online. Flowers are a key summer decor component, and make the perfect addition to this kind of celebration—think shiny blue ceramic pots filled with massive red geraniums. Another way to achieve the patriotic look is by simply spray painting old pots in red, white or blue. Container gardens planted earlier in the summer are given a boost when you insert a few small flags. Smaller pots can go straight to your red, white and blue buffet table. Pull those blue-and-white ginger jars decorating your mantels and bookshelves out for the festivities and fill them with red roses for instant red-white-and-blue flair. When throwing a party, be sure to tell guests to “think patriotic,”’ or write “patriotic costumes welcome” on your invitation. Part of the fun is seeing who arrives in an Uncle Sam hat, brings a smartphone-recording of “America the Beautiful” for all to sing along, or has a guitar to lead singing of “This Land is Your Land.” Provide guests with the printed lyrics, easily found online, so everyone can participate in the singalong. 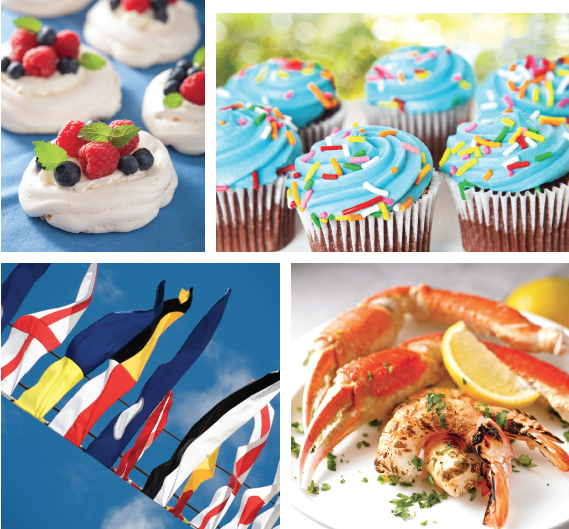 Summer menus abound in patriotic choices. Cut seedless watermelon with a star cookie cutter and spear it on a skewer with a row of blueberries. Other festive skewers include a small mozzarella ball, a basil leaf, a cherry tomato and a couple blueberries drizzled with a balsamic glaze set on a bed of fresh herbs. Huge strawberries can be cut in half, and filled with cream cheese and topped with blueberries. As for dinner, nothing says “American” better than grilled hamburgers, hot dogs (there are even low-fat, additive-free ones now) and corn on the cob. Desserts range from a flag sheet cake with white frosting, decorated with red berry stripes and a top left-corner blueberry background for white stars piped on from a pastry bag, to stunning white-chocolate-dipped strawberries with the pointed end dipped in blue sprinkles—a red, white and blue look on each berry! Top off your party with some games—horseshoes and old-fashioned corn hole. You could even redecorate your plain corn hole boards with patriotic-colored duct tape for the occasion. Were you too busy with family activities or visiting relatives to have a party at July 4th time? Hooray for the red, white and blue! Those same colors can stick around for the French national holiday, the 14th of July, Le Quatorze Juillet, also known as Bastille Day. We can never have enough partying, so let’s celebrate that too! Even though the French call their flag “Blue, White and Red”—the colors’ order of appearance from flagpole outward—the look is the same. 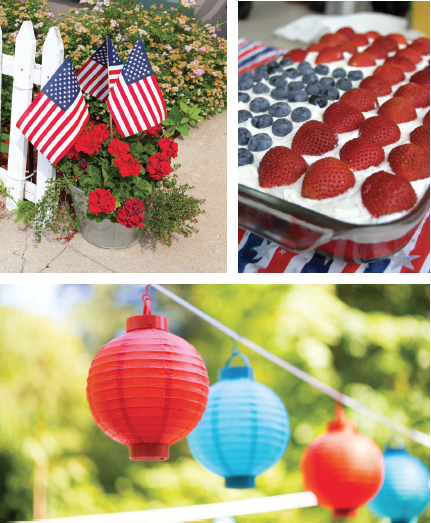 Keep your decorations for the Fourth, and go French with a party menu that showcases easy-to-make-ahead ham-and-cheese-filled crepes, or a quiche with a green salad, crusty French bread and a dessert of white meringues topped with red or blue fruit and a dollop of whipped cream. You can easily make a few French signs, saying “Ooooooh La La!,” “S’il Vous Plait” and “Merci!” and a couple of homemade paper French flags to add to the ambiance. of construction paper glued to a background. Each guest can make his or her own name on a sheet you have prepared with the correct flags for each name, using his “flag key” to arrange the letters. 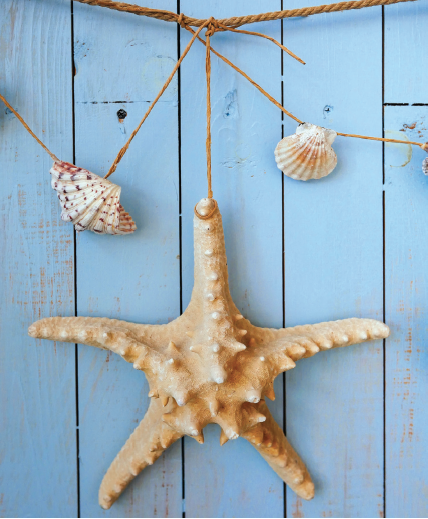 Decorations become nautical with the addition of nets, colored wooden fish and shells collected from beach trips. Put on some Jimmy Buffet music, and everyone will sail away. Foods include deviled egg boats with red, green or yellow pepper flags, boat-shaped breads topped with salmon and a tooth-picked sail (paper or cheese), large cheese wedges with a skewered “sail” identifying the type, napkin-wrapped eating utensils tied with twine and a Lifesaver, and of course, goldfish. A main dish of seafood, whether shrimp or crab served in sauce from large individual scallop shells or a crab salad on croissants carries on the nautical theme. Desserts could include red-, white- and blue-dipped strawberries, a sheet cake with designs of boats and waves on top or individual blue-frosted cupcakes set on a large tray in the shape of an anchor. “Ahoy, matey! Come for whatever floats your boat,” announces your invitation to guests. Will someone appear in an eye patch and pirate headscarf? Or wearing a military hat and old Navy medals? Sporting clam diggers with a parrot on their shoulder? That’s the fun of a theme.